Each bar will be decorated with a festive ribbon and will be available from the end of October. Despite the enforced slow down recently (update on the building work coming soon), there’s still plenty of great stuff going on. I have a limited number available for my local / Facebook customers – I’ll be posting them on the page this week. 3. The Dinosoaps are cured and will be posted for sale over the next couple of days. I’ve already received a few pre-orders and I’m confident they’ll sell pretty quickly. 5. This week, I hit the 5K followers mark on Instagram. I know I bang on about it but I do luurve Instagram, and this week I was lucky enough to be featured by HandmadeintheUK. They reposted one of my photos, and if it received more than 125 likes (which it did), then I go forward to the grand final on Sunday (tonight!) At time of writing I’ve not idea how that will work, but I’m excited to see what happens this evening. For my Blogtober 2016 Day 26 post (just 5 more to go – hurrah!!) 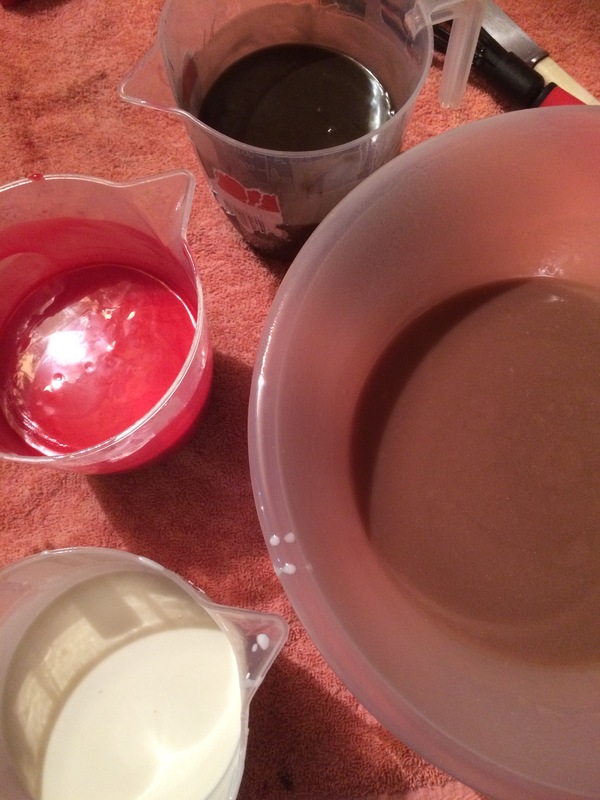 I thought I’d take photographs of the process and share it with you. 18. The finished set – Ta-da! This year I’ve made three seasonal bars especially for the Christmas period. 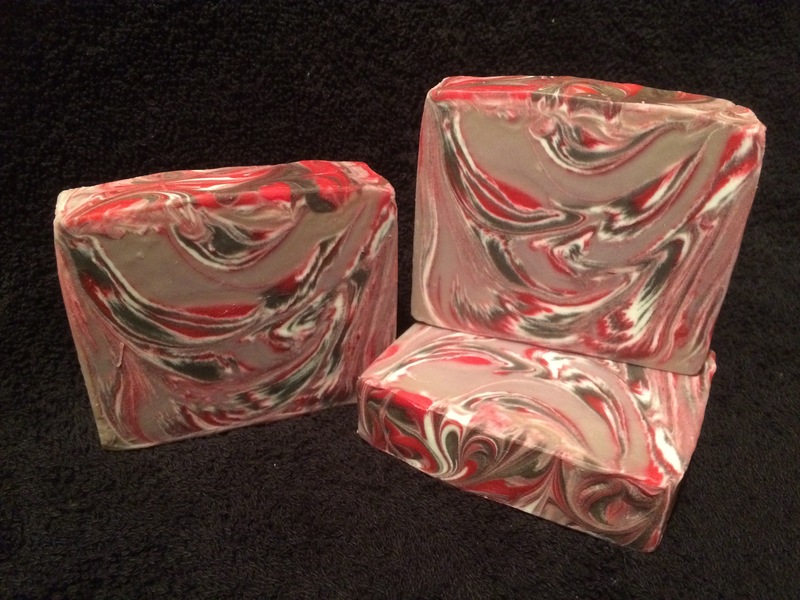 These are limited edition soaps – there are only 29 available of each fragrance – but they’re made with the same luxurious base recipe of highest quality, food grade oils and butters that all our bars are made of. Three Kings (A resinous, woody-oriental fragrance with citrus top notes mingling with warm base of frankincense, myrrh and amber), topped with gold mica. 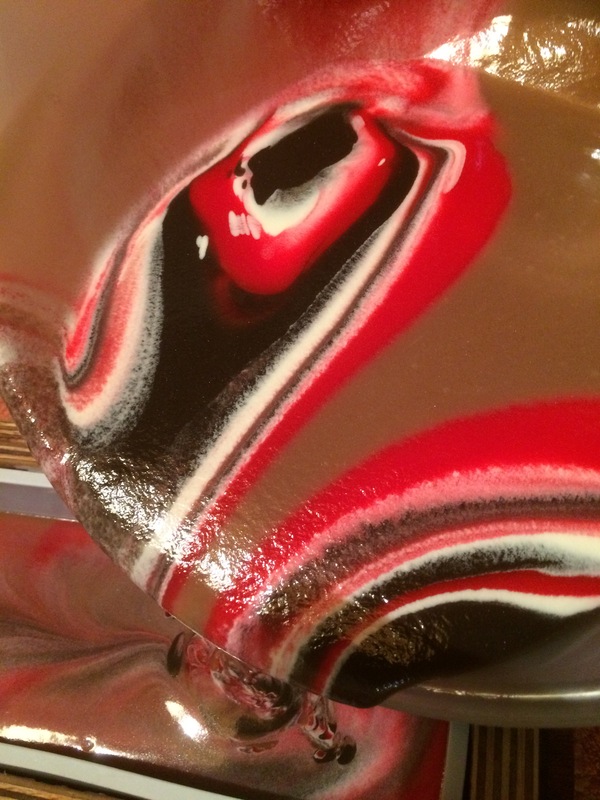 I rarely make novelty soaps, but I spotted a great dinosaur mould and thought the kids – my kids that is – might like some dinosaur shaped soap. They were a HUGE hit so I’ve made a few more batches to sell as stocking fillers at the Christmas fairs. 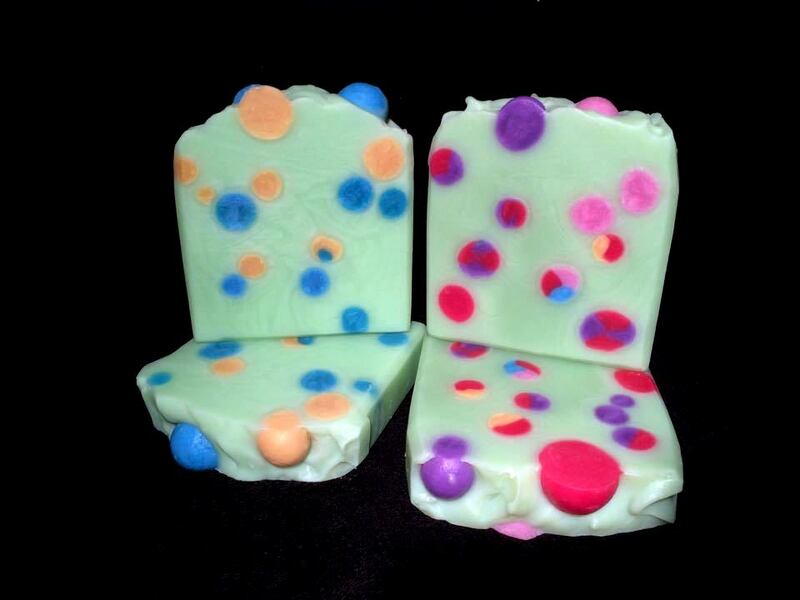 Made with exactly the same base recipe that I use for my regular bars, some are scented with a Christmas Tree FO and others with a Jelly Beans FO which is always popular with children. 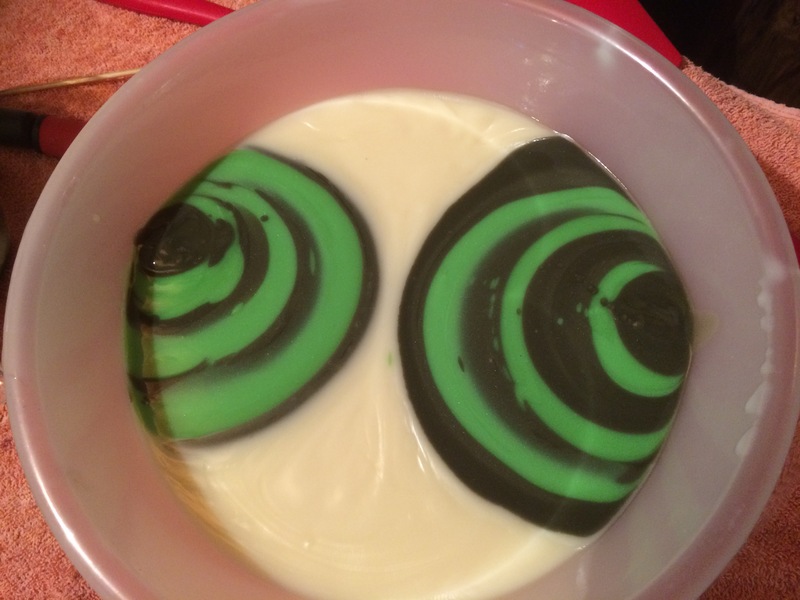 Last year I made just one batch of soap specifically for the holiday season. I swapped the usual raffia for a seasonal ribbon, and it sold out within a couple of days. I posted at the time that it was a case of bad planning, but by then it was too late to do anything about it, and I vowed to do better this year. 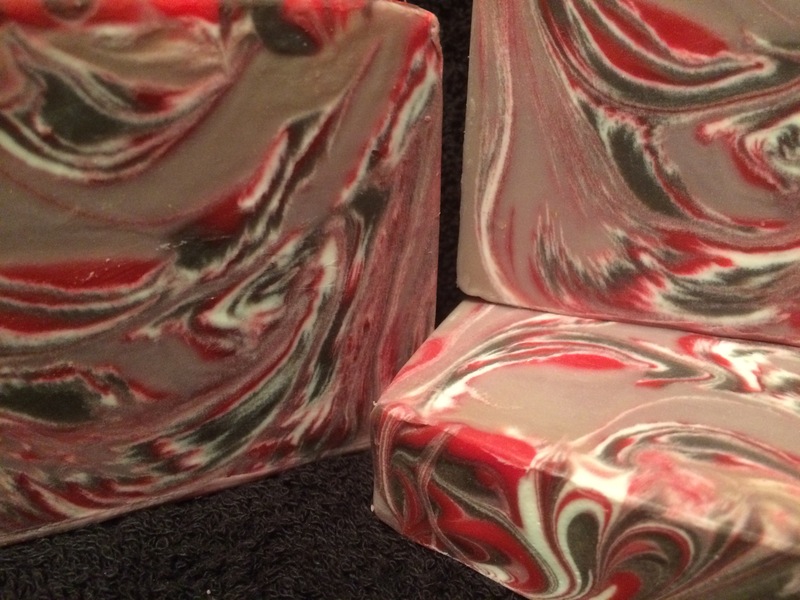 First up was Candy Cane – a mouthwatering fragrance which blends peppermint and vanilla. I liked this one so much I made a second batch, and good thing too, as it’s proving very popular and the first batch is already sold out. Next I had a plan to create a stylised Christmas Tree design, complete with baubles. My main disappointment with this one is that I somehow had a brain freeze while rolling the ‘baubles’ and I made them two small. To me they should be the same diameter as the baubles on the top of the soap. I also tried to get clever and create some variation in the colours/designs of the baubles themselves by rolling different colours together, but it didn’t work as well as I hoped. Perhaps they would have looked better had they been larger. Anyway, they may look a bit quirky, but they certainly smell like a Christmas tree – the fragrance oil has top notes of pine needles and and spicy, woodsy middle and base notes. My final Christmas design for 2015 is a second Clyde Slide – Moonlit Mistletoe – in grey, silver and green. 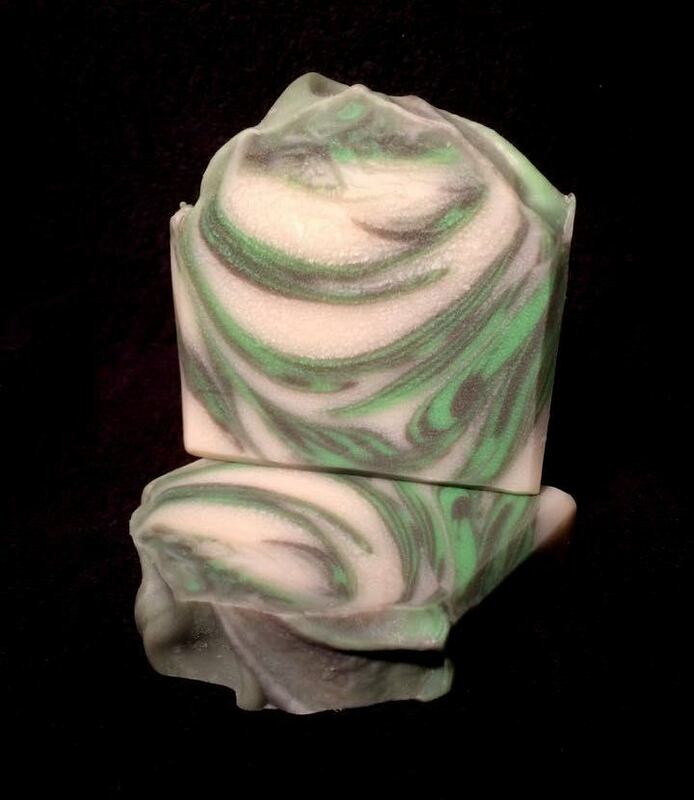 It’s a true unisex fragrance, the top notes are herbal, green and fruity, balanced with spices, amber and patchouli. Thanks for reading, I’ll be back again soon! 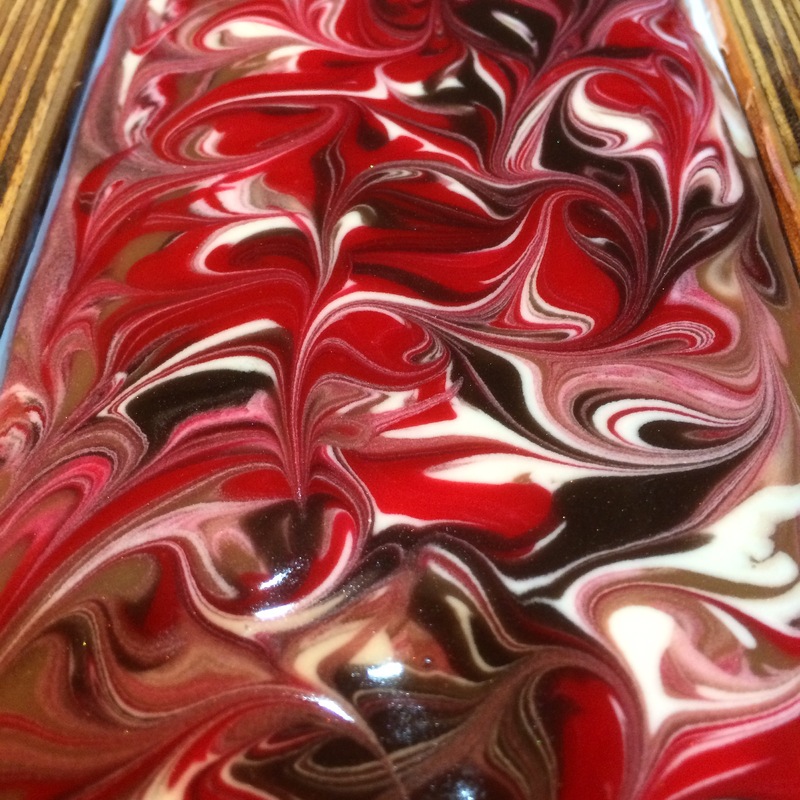 This year, I was determined to avoid the same mistake again, and decided to make just one Christmas soap. I chose my fragrance carefully, and opted for ‘Jewelled Cranberry’, described as a ‘festive berry fragrance of juniper berries, elder berries and cranberries with supporting notes of pine nuts, orange peel and crisp apple’ and supplied by Gracefruit. I gave it the usual six weeks cure time then posted it on my Facebook Page stating that it was a limited edition. The response was as amazing as it was unexpected – all 15 bars were sold within 24 hours. So that was it, my whole Christmas offering sold out before the end of October! I was thrilled of course, but also a bit frustrated, at myself, for not foreseeing this possibility. 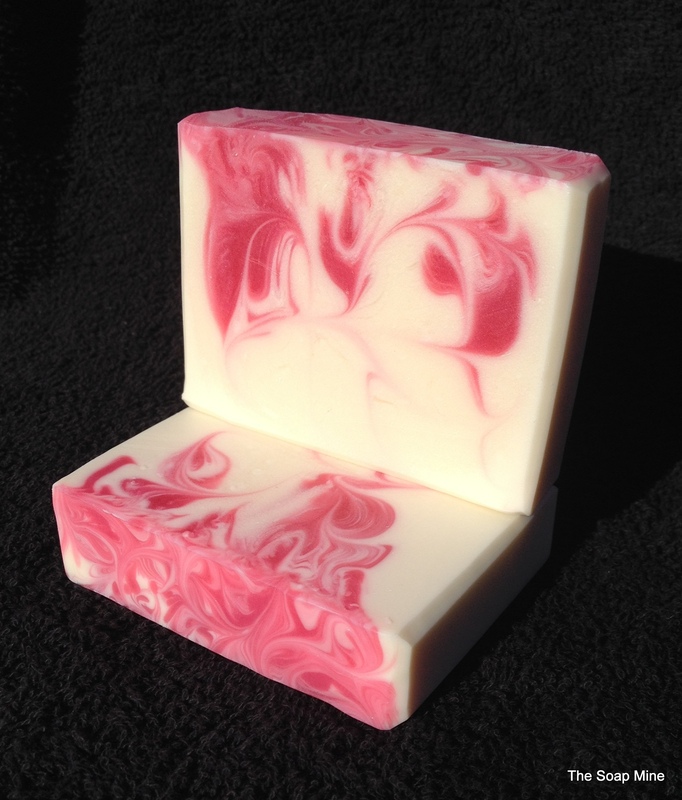 Yes, I could have made more, but by the time I’d ordered the fragrance, made the soap, and waited the requisite six weeks, I would most likely be too late for the Christmas shopping period, and would end up with a surfeit of holiday soap in January again. Very poor planning from a business point of view, but a valuable lesson learnt for the future! 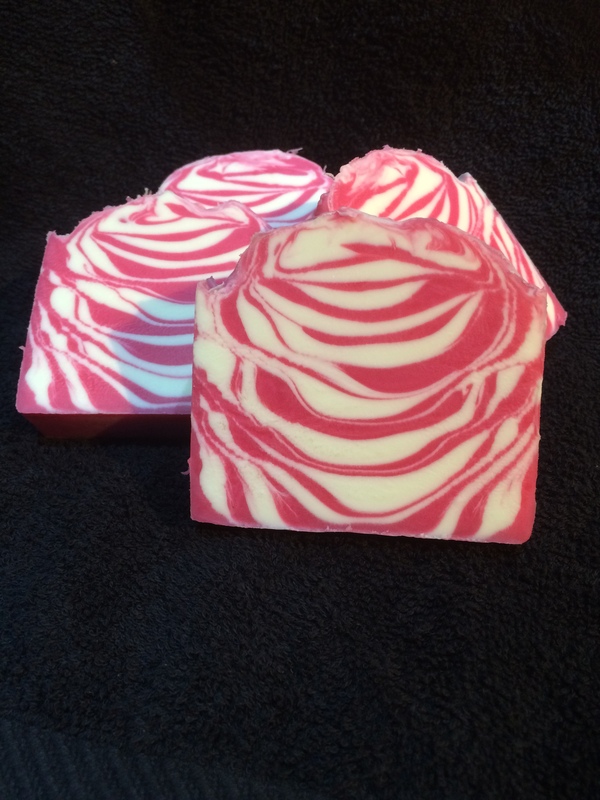 Have you made Christmas soaps this year? Please share your links in the comments – I’d love to see them!